Mmmmm! Who doesn't love a good chocolate cake! The added pudding in this recipe gives this cake a soft moist texture and makes it sturdy enough to stack or carve! 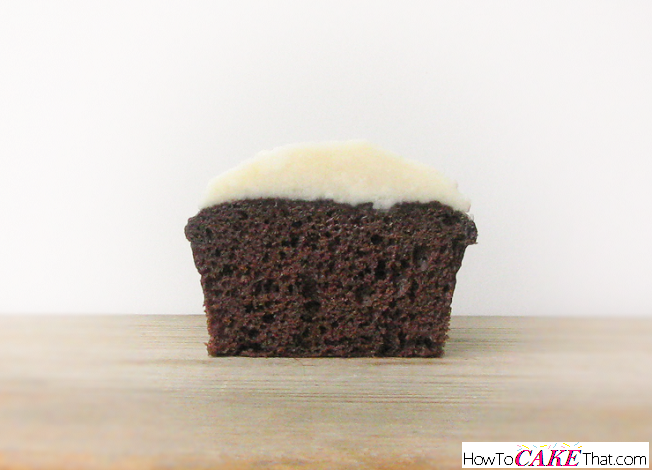 And the chocolate flavor is enhanced with the addition of freshly brewed coffee and a little extra cocoa powder! It's so very delicious! I hope you enjoy! 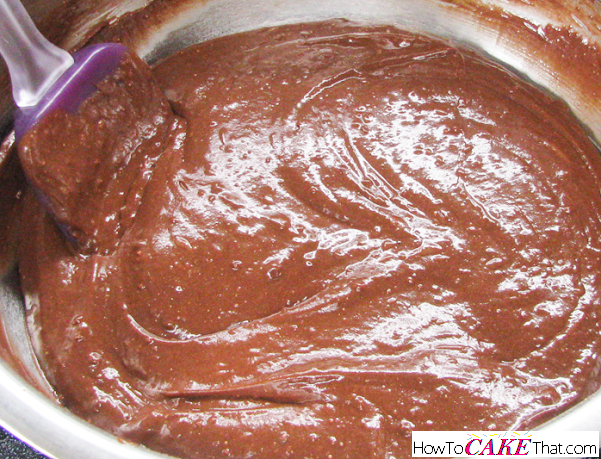 To begin this recipe, pour in one box of Duncan Hines Devils Food cake mix (16.5 ounce) into a large mixing bowl. Next, pour in 1 small box of Jello Instant Chocolate Pudding (3.4 oz size). 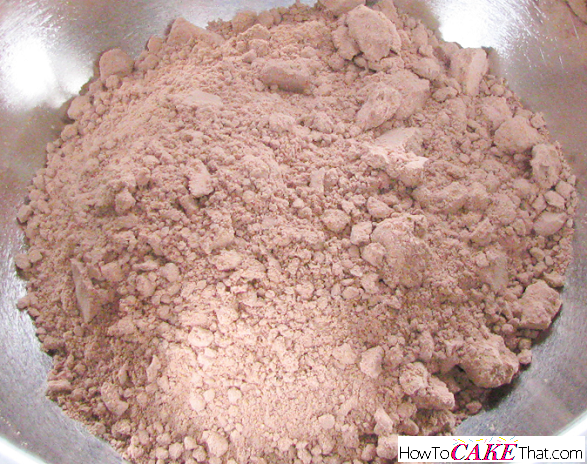 Add 2 teaspoons of Hershey's unsweetened cocoa powder to the bowl. 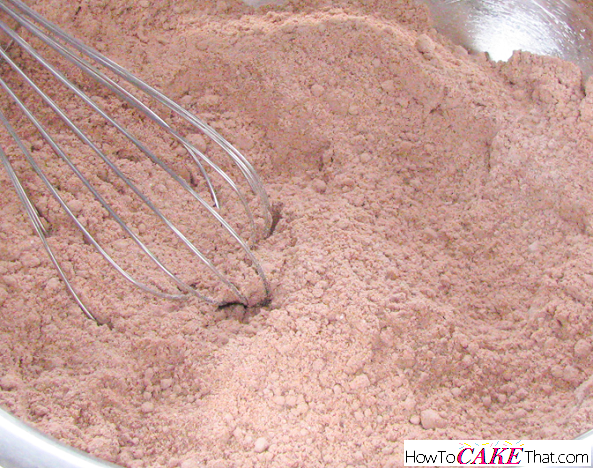 Mix all dry ingredients together with a wire whisk and break up any clumps. Set bowl aside. 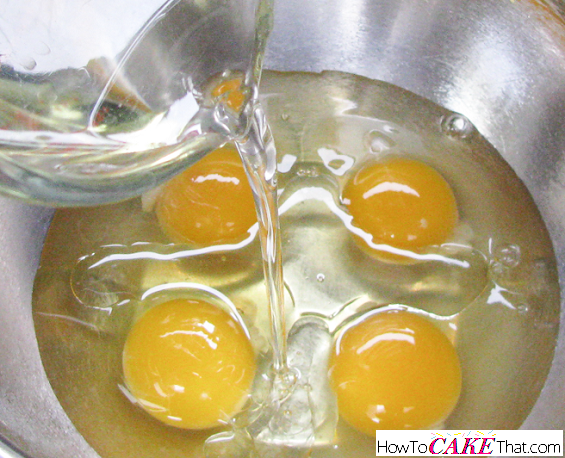 In a small bowl, add 4 whole large eggs. 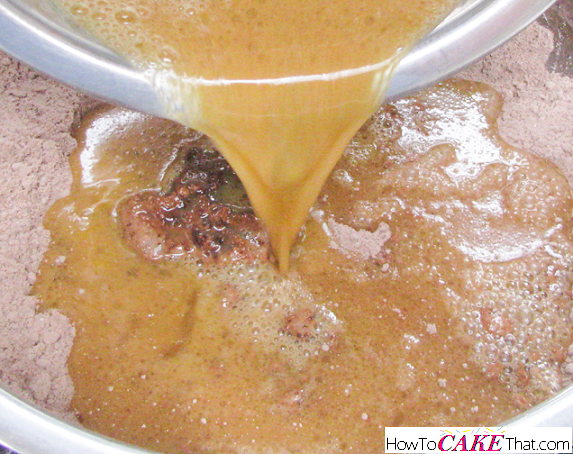 Add 1/2 cup of vegetable oil to the small bowl. 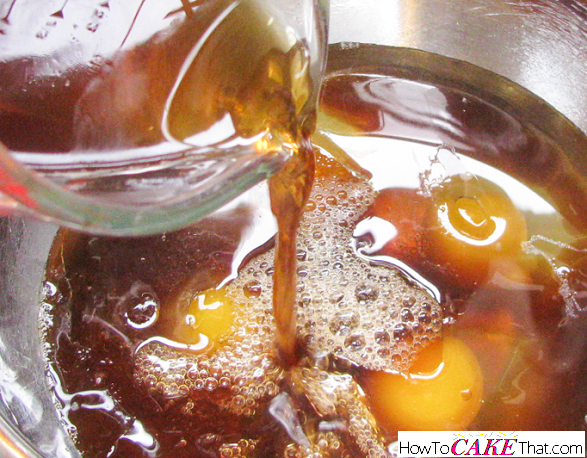 Add 1 1/4 cups of freshly brewed cooled coffee to the bowl. Or you can use 1 1/4 cups of water instead of coffee, if desired. Coffee just offers a richer flavor. 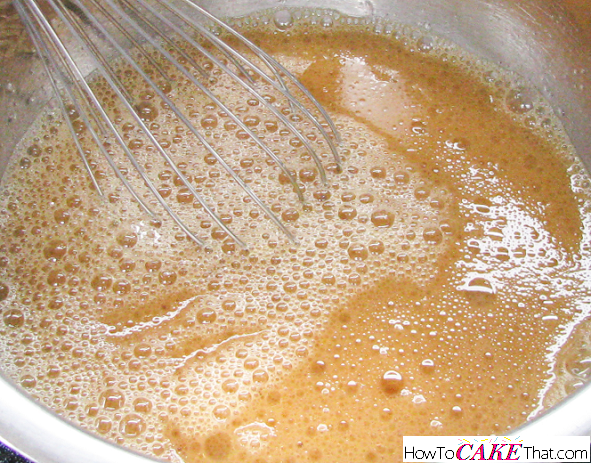 Whisk wet ingredients together until blended. 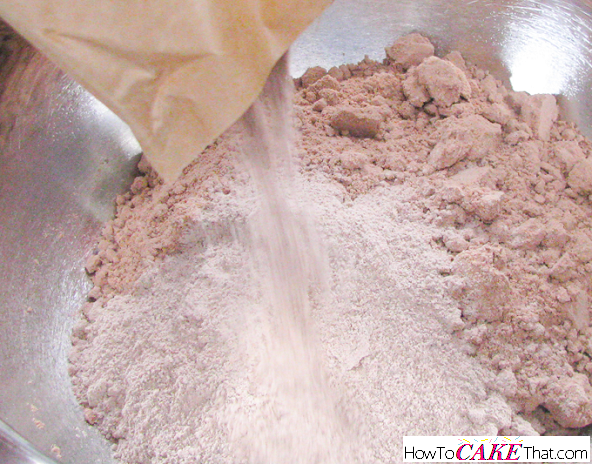 Using an electric mixer, blend all ingredients together until well blended. Be sure not to over mix. For cupcakes, bake at 350 degrees, until done. 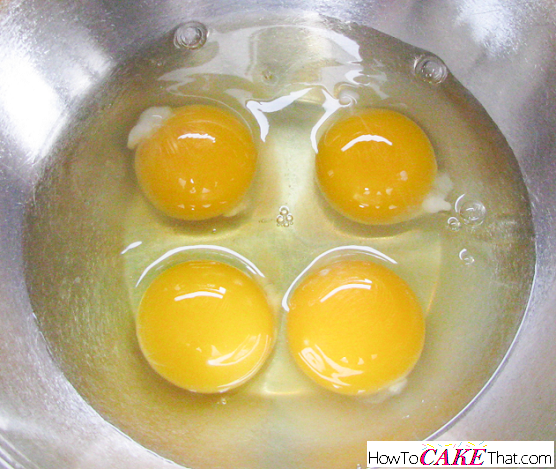 For cakes, bake at 330 degrees, until done. And that's how you make this delicious chocolate cake! I hope you have enjoyed this tutorial! God bless! !